The world today, (December 5, 2018), more particularly, the whole of Indian sub-continent, comprising the present India, Bangladesh and Pakistan mournfully observes the 55th death anniversary of Huseyn Shaheed Suhrawardy, formerly the Chief Minister, Undivided Bengal during the British regime and formerly one of the Prime Ministers of Pakistan and also its opposition leader after the country was divided by the British in 1947, - with a deep sense of sad sensitive soul. Suhrawardy died in exile while he lived in a Beirut hotel in Lebanon in 1963. He was then 71. The death was so sudden that the world was taken aback. The members of his family, particularly his daughter Begum Akhter Sulaiman did not accept his father's death as normal. In fact Suhrawardy died at a time when he was banned by the Military government of Ayub Khan. The world mourned at his death as he was a recognized world leader during his time in Pakistan. The US President Dwight Eisenhower and Chinese Premier Zhou Enlai and many other world leaders were his friends who visited Pakistan during his time and held him in high esteem. It was indeed most tragic that he passed away very lonely uncared and unsung in a foreign hotel far from his people and the country he belonged to and for which he had so ardently fought throughout his life. And indeed, the people and the land he cared most did not forget his contribution and stood firm by his side against all odds and utmost suffering as he left no stone unturned to make them a strong nation as of today under the leadership of his most loving disciple Bangobandhu Sheikh Mujibur Rahman who liberated the country from the hands of those Pakistani army junta who tortured him and forced him leave the country , after a 9-month war of liberation and paid glowing tributes to him as they buried him with tears of love and respect beside the grave of AK Fazlul Haque and Khawaja Nazimuddin in the old High Court compound of Dhaka. And the race course from where Bangobandhu made a clarion call for freedom on the historic March 7, 1971 was dedicated to the memory of Bangobandhu mentor as Suhrawardy uddhyan. He was indeed a great son of the sub-continent and a life -long fighter to the cause of people for democracy and human rights. Abul Mansur Ahmed, the noted politician of his time once commented that both C.R.Das and H.S. Suhrawardy had the same vision and mission of serving the cause of the people. Suhrawardy was devoted towards the quest for democracy and well being of the people when he joined politics after returning from London to the sub-continent in 1920-21. The self- sacrificing nature of Huseyn Shaheed Suhrawardy was clearly evident in his letter to the Editor of the Daily Ittefaq only six days prior to his passing away, when after having all sorts of obstacles thrown in his way by those seeking power and looking to eradicate people's democratic rights, he wrote: "If I die, I shall be happy. There is no point in living. I am of no further use to anybody ---and if use (only) to myself then this life is not worth living." Such was Suhrawardy throughout his life. Born on September 8, 1892 in Midnapore, West Bengal (India) in an illustrious Bengali Muslim family, Huseyn Shaheed Suhrawardy was a son of Justice Sir Zahid Suhrawardy (Barrrister and Jurist at the Calcutta High Court and Begum Khozesta Akhter Banu, the first Muslim woman to pass the Senior Cambridge examination and the only Indian lady appointed an examiner for Urdu literature at the University of Calcutta (Kolkata). The worthy son of worthy parents, Shaheed Suhrawardy proved too that he was the brilliant best among the Indians who studied Arts and Humanities on the one hand and Law and Jurisprudence on the other and obtained B.C. L degree and M.A. in political Science from Oxford University, London. He also completed Bar-at-Law from Gray's Inn in 1918. In his early youth he finished his education at Calcutta. Suhrawardy joined Khilafat movement against the British to begin with his political career in 1920. Soon he emerged as one of the nationalists in the freedom fight of India. He was elected to the Bengal Legislative Council in 1921. He returned to the Council in all of the following consecutive terms. Shaheed Suhrawardy was the first among the Indian Muslims to be elected the Deputy Mayor along with his mentor, Chitta Ranjan Das, the Mayor of the Calcutta Municipal Corporation in 1924. It was his first public position in the city of Calcutta. Shaheed Suhrawardy immediately caught the attention of all as he could help adopt the Labor Welfare Act and the Maternity Benefit Act constitutionally at the Provincial Assembly in 1937 all over India. It was indeed a great achievement for Shaheed Suhrawardy. Both C.R. Das and Suhrawardy moved towards the quest for democracy and the well being of the people. Suhrawardy never hesitated to sacrifice his life to the cause of his people for restoring democracy. After the death of C.R.Das in1925, Suhrawardy took care of the Hindu-Muslim amity. He could understand that the independence of India was not possible without Hindu-Muslim amity. He joined the Swaraj party of C.R.Das (1870-1925). And this had greatly helped him get a political platform. C.R.Das was a distinguished leader and was very supportive to the cause of the Muslims. By 1927 Suhrawardy emerged as one of the most vocal and active defenders of Muslim rights. He also organized Khilafat Conference and all Bengal Muslim League Conference in 1928. It should be mentioned here that Suhrawardy was elected to the Bengal Legislative Council in 1921 and he returned to the Council in all of the following terms. He was also a member of the Bengal Legislative Assembly from 1937 through 1947. He joined the Government of Bengal in 1937. He was the General Secretary of Bengal Muslim League and after winning the general election in 1945 assumed the only Muslim League- led government as the Chief Minister in 1946. He made desperate attempts to keep Bengal undivided but failed because of extreme tendency of separation in both Congress and Muslim League. Meanwhile, All India Muslim League under the leadership of Muhammad Ali Jinnah declared August 16, 1946 as a Direct Action Day against the Congress for partition. The Congress Chief Jawaharlal Nehru decided to resist this move of the Muslim League. The Muslim League organized a meeting in Calcutta on the day to press home the demand of partition of India and while the meeting went on there appeared serious communal violence in different areas of Calcutta city as the Hindus attacked the Muslims living in Calcutta. The Suhrawardy government was in a very critical condition as none of the congress members joined his government. And moreover, the Indian congress together with Hindu leaders looked very offensive against Suhrawardy because of the communal violence in August 1946. Suhrawardy was fully blamed for all these. Yet Suhrawardy moved on with support from Sarat Chandra Bose, the elder brother of Netaji Subash Bose and few other non-communal Hindu and Muslim leaders. They tried to prevent the communal violence, riots and long term border disputes. Suhrawardy and his colleagues were all out for preventing the demand of second partition of Bengal and fought for United Bengal. Bengal Congress headed by Sarat Chandra Bose joined the coalition government of Suhrawardy's cabinet. Mahatma Gandhi extended his full support to him. In fact, Suhrawardy braved death when he moved day and night as a Chief Minister of Bengal towards saving the life of the people when communal violence broke out in Calcutta ( Kolkata) following declaration of August 16,1946 as Direct Action Day by the Muslim League. Had he not been there at Calcutta, Muslims in the city and elsewhere in and around Calcutta would have been crushed to death mercilessly by the neighbouring community. Suhrawardy's steadfast attempt to end communal violence forced even his critic, Hassan Ispahani to say, "I have not seen a man work so hard and act so swiftly to try and control conflagration as Suhrawardy did." During the entire mission, Suhrawardy received constant threat to his life. On one occasion, when a crowd of 20,000 people came to kill him, he said, "If you want to kill me, kill me now, but before you kill me, you've got to give me your word that after killing me you'll kill no other Muslims." Hearing the commotion, Gandhi who was then in Calcutta rushed to the scene and asked the crowd to kill him first, before killing Suhrawardy.Upon hearing from the Mahatma, the crowd dispersed. Such was Shaheed Suhrawardy in his life time during communal violence in Calcutta (Kolkata). In fact, it was his leadership quality along with his love for the people, and his willingness to sacrifice everything at their behest, earned him name and fame. Yet, it was he, against all those forces; his perseverance finally won him the day, when Suhrawardy, as the opposition leader signed the first Constitution of Pakistan on February 29, 1956. It is very often held, "Suhrawardy was a key person in the making of Pakistan," because, "had he not won the 1946 provincial election in Bengal, given the failure of the Muslim League to win in any other Muslim majority provinces, Pakistan would never have come into being." Suhrawardy did not leave the Muslims in Calcutta during the Calcutta violence in 1946-47, when he helped create Pakistan and sought out the great Mahatma Gandhi and went on a peace mission with him in his attempt to stop communal violence. Such was the magnanimity of Suhrawardy who cared more for his people than enjoying a life of position. Having worked with Suhrawardy, even Mahatma Gandhi reportedly to have said, "Jinnah, here is your politician and leader." Suhrawardy, in fact, had a long chequered political career over 43 years beginning 1920 as a political activist. And it was essentially characterized by many historic events and vicissitudes, spectacular successes and occasional failures because of conspiracies and personal tragedies. He was indeed a most successful politician ever produced in this subcontinent. In 1945 general elections Suhrawardy was elected successfully securing a huge political endorsement from the Muslim League and others and became the Chief Minister of united Bengal in India in 1946. The Indian Congress did not cooperate with him. Suhrawardy fought for united Bengal when India was on the verge of getting divided on the basis of two nation theory. Finally he failed because of non-cooperation of Jawarlal Nehru, the Congress leader. Mohammad Ali Jinnah, the leader of the Muslim League initially supported Suhrawardy but faced strong opposition from Khawaja Nazimuddin and his brother Khawaja Shahabuddin and Nurul Amin. Suhrawardy joined Pakistan in 1949 and co-founded the Awami Muslim League with Abdul Hamid Khan Bhashani in 1949 when Khawaja Nazimuddin became the Governor General after the death of MuhammadAli Jinnah. Suhrawardy faced strong opposition from Nazimuddin and Nurul Amin who supported the proposal of Mohammad Ali Jinnah regarding Urdu as the State language of Pakistan while he was alive. Suhrawardy disowned Muslim League and worked for Bengali Nationalism claiming Bangla as one of the State Languages of Pakistan. In 1950, he strongly opposed Khawaja Nazimuddin and forged an alliance with the Communist party and the other left oriented parties forming United Front known as Jukto Front in Bangla. After the dismissal of Nazimuddin, Suhrawardy joined the Cabinet of Prime Minister Muhammad Ali of Bogra as a Minister of Law and Justice and drafted the Constitution of Pakistan. During the legislative election in East Pakistan in 1954 Suhrawardy led the United Front against The Muslim League of Nurul Amin and made a landslide victory of his party, the United Front (Jukto Front) over the Muslim League. At that time Maulana Bhashani, AK Fazlul Haque along with Sheikh Mujibur Rahman and others worked for the victory of United Front (Jukto front) and formed the government in East Pakistan. The Awami League led by Suhrawardy forged a three party alliance with the Muslim League and the Republican Party to form the coalition government in the National Assembly of Pakistan. Suhrawardy was appointed the Health Minister in the Cabinet led by Muhammad Ali of Bogra. In course of time, Suhraweardy led a no confidence motion against the Muslim League and the Prime Minister Muhammad Ali, Bogra and after being successful; Suhrawardy was appointed the New Prime Minister of Pakistan in 1956. The most important contribution of Suhrawardy government was the setting up the Atomic Energy Commission. During this time Iskander Mirja was the President of Pakistan. Suhrawardy faced strong opposition from the Muslim League for his pro-Bengali nationalism. He extended the services of General Ayub Khan for three years. Mean while Suhrawardy led a no confidence motion against the President Iskander Mirza at the National assembly and it failed. Suhrawardy unexpectedly resigned from the post of Prime Minister. After this, the whole situation went out of his control and he suffered a lot during this time. But his position was little improved when Pakistan's Governor General Ghulam Muhammad called him to join the Ministry as the Law Minister. Suhrawardy also became the Prime Minister for few months. But as soon as General Ayub Khan took over as the President, Suhrawardy lost the Premiership of Pakistan and was disqualified to hold any public office under Elective Bodies Disqualification Order (EBDO). After all these, Suhrawardy suffered a lot. He was not allowed to visit East Pakistan. Martial Law almost tortured him to death. He was in Beirut, Lebanon in exile and here he died a tragic death. In fact, it was this leadership quality in him that also impressed Sheikh Mujibur Rahman who took Suhrawardy as his mentor during his career as a student in Calcutta. He was properly groomed by Suhrawardy for undertaking a risk of liberating the country from the hands of Pakistani Army Junta and lead the country, East Pakistan to her victorious freedom as independent Bangladesh in a 9-month war against the same Pakistani Army Junta headed by General Yahya Khan. 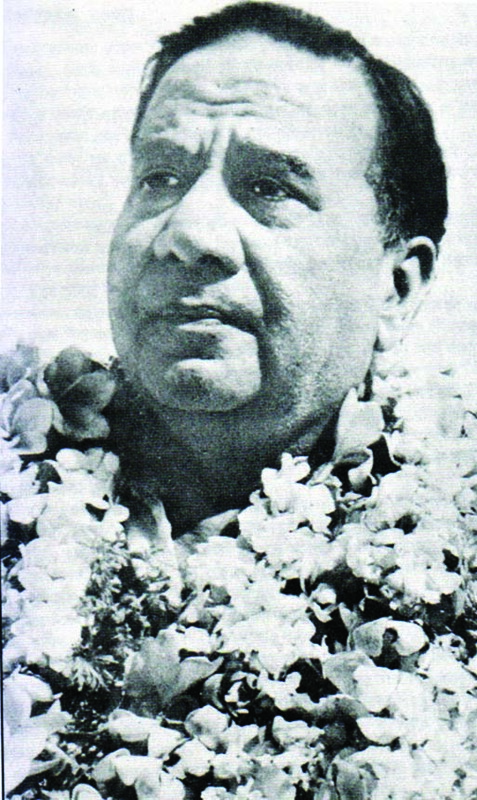 Suhrawardy was indeed, the undisputed leader of Pakistan who left no stone unturned to restore democracy in the country. The present writer who was then working for the Pakistan Observer in 1962 covered a visit of H.S. Suhrawardy, the then opposition leader, to Kushtia, East Pakistan where he addressed a mammoth public meeting along with Sheikh Mujibur Rahman who happened to be his disciple since he was a student in Calcutta in 1949. Here Suhrawardy condemned the rule of Pakistani army junta who usurped power from the elected leaders of Pakistan and made a clarion call, 'no taxation without representation' amidst roaring sound of the masses attending the meeting at Renwick ground in Kushtia town. The news hit the headline of Pakistan Observer on the following day. In fact, Suhrawardy was instrumental in the mass upsurge that broke out in the then East Pakistan against the Army Junta. People cared not to suffer with him for the sake of Democracy. Huseyn Shaheed Suhrawardy stoled the limelight during a period he worked for the people as a pro-activist campaigner of Democracy in the country. He suffered and almost tortured to death and all these made him the Poet of Democracy. We pay our tribute to the memories of this great Champion of Democracy -a national leader and international figure.